In this unique and "udderly" hilarious game, the players get the pitch ... well ... you know what ... back at ol' "Bessie." Specially weighted "cow pies" get tossed into the pouch located just beneath the cow. 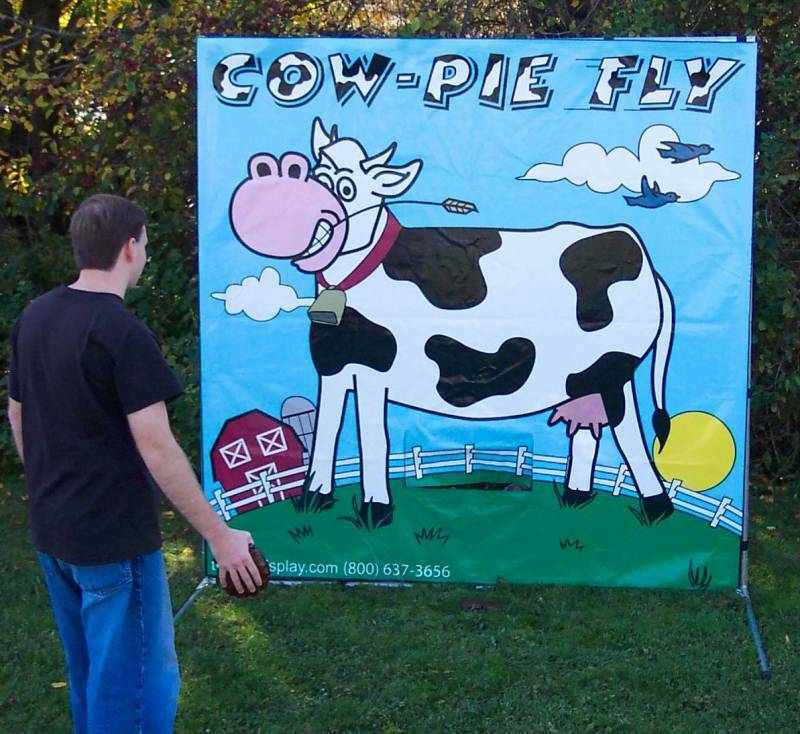 Whether it's down on the farm or in the big city, the Cow-Pie Fly is fun for all ages.